Panini America’s 2017 Spectra Football released to rave reviews today at Sports Cards Plus, creating plenty of pop — 2017 National Treasures Collegiate Football — is sure to follow in Spectra’s wrapper-ripping buzz. 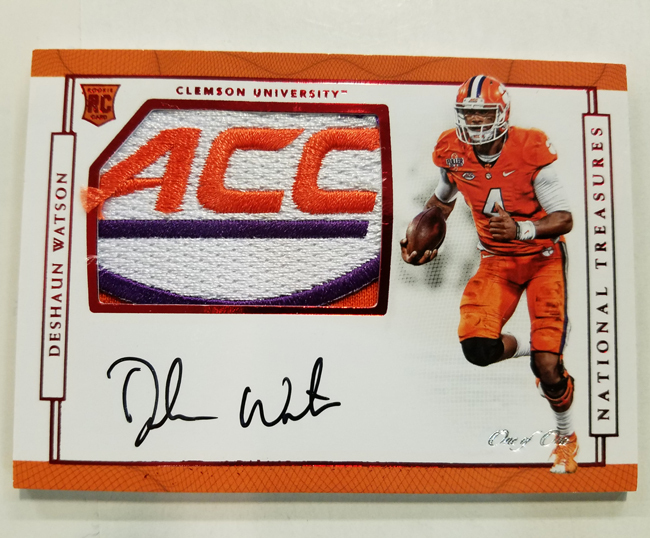 In two short days, another Panini America football product will be generating excitement throughout our store. 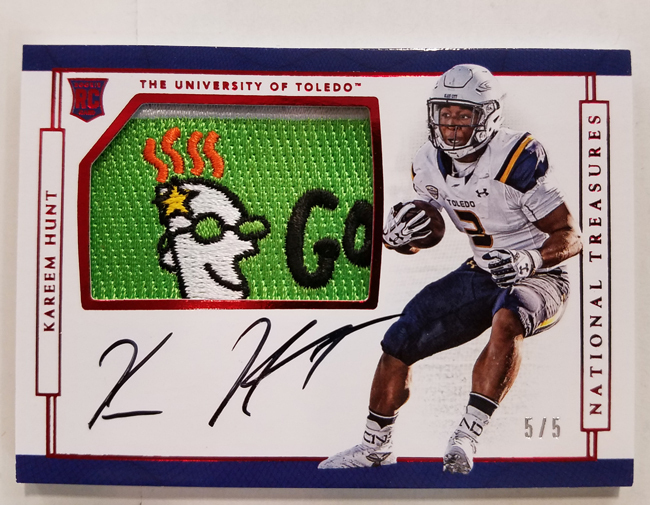 The patch-powered product is a high-end, hit-filled, ink-heavy offering that delivers, on average, five autographs (including three on-card and an autograph booklet) in every eight-card box. 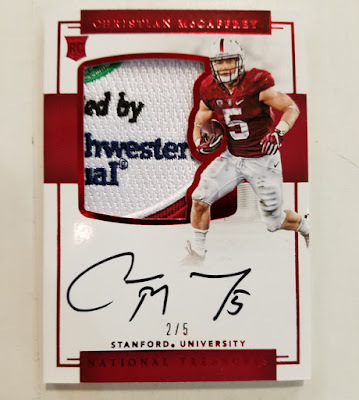 As the pictures in this post will confirm, 2017 National Treasures Collegiate Football has come together quite nicely. 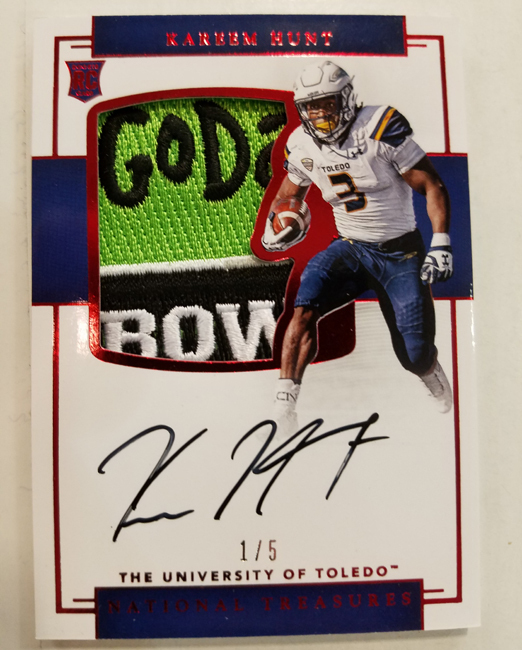 In addition to an inviting array of memorabilia cards featuring Bowl Patches, Conference Patches, Brand Logos, Team Logos and Championship Patches, the product is also headlined by Silhouettes Signatures and Prime Signatures of both current and retired collegiate greats and hard-signed Notable Nicknames. 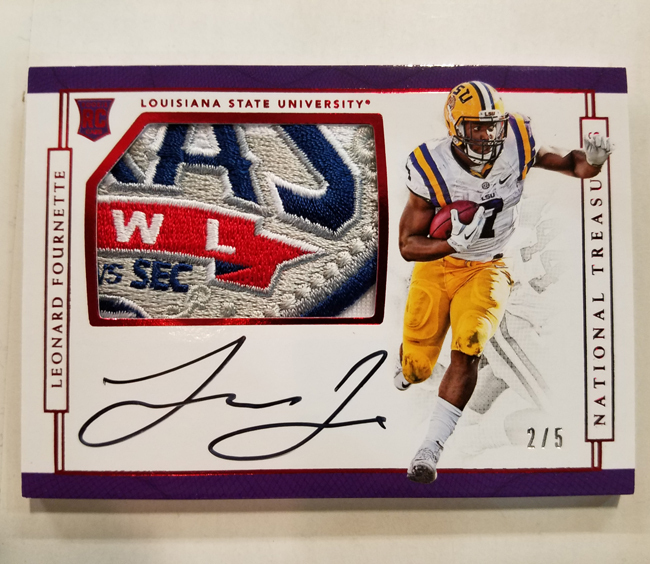 2017 National Treasures can be pre-ordered at Sports Cards Plus for just $375 per box.